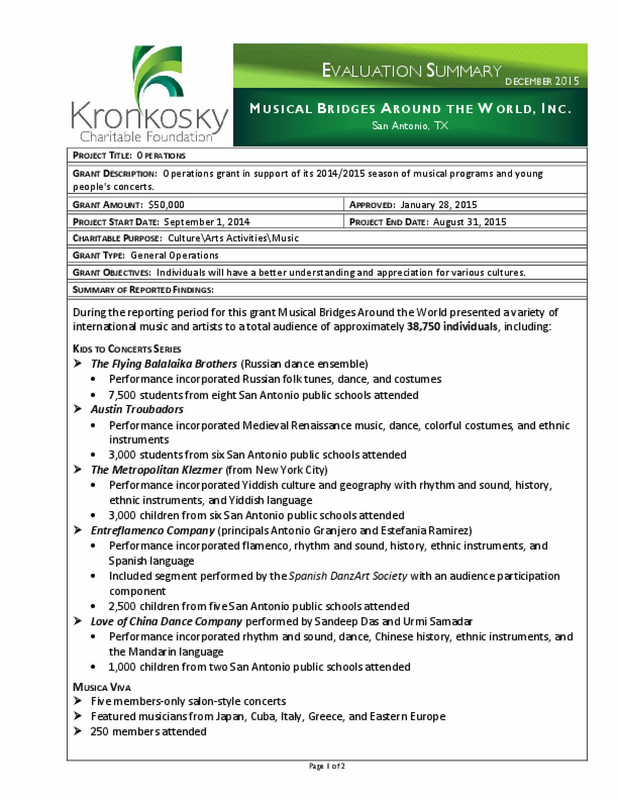 During the reporting period for this grant Musical Bridges Around the World presented a variety of international music and artists to a total audience of approximately 38,750 individuals. Copyright 2015 by Kronkosky Charitable Foundation. All rights reserved.